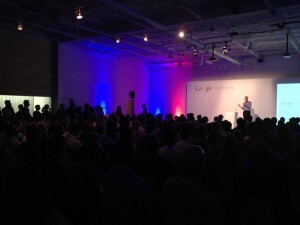 Google chose Toronto to host their first launch of their new Google Partners Program. According to Google Product Manager, Tim Frank, they chose Canada because they knew that Canadians wouldn’t hold back giving them the feedback that they need to continually improve their platform. And the crowd didn’t hold back! Facing a room full of Advertising executives Tim opened the floor to questions. As if on queue a bottle rolled down the aisle and a straight shooting Canuck started with “Does anyone remember 10 years ago when Google stated that they were going to put agencies out of business, and now here we are and they want our help?” Well the crowd laughed and Tim dealt with the question head on to the satisfaction of most if not all in attendance. 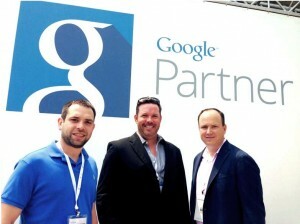 Google understands that it needs partners to work with small business to help those small businesses navigate and maximize the complex world of Pay Per Click advertising. So Google did what they do best, they created an algorithm that identifies the best PPC management agencies based on many factors including the performance of those agencies clients’ campaigns. While we are pleased that e-Dealer was identified as a top provider of PPC management specifically in the Automotive Vertical we are even more excited about what that means for our clients. We now have a dedicated Googler (their term not mine) who works closely with e-Dealer’s PPC experts and to ensure that we are getting the best results and ROI for our clients. We look forward to this new evolution in our relationship with Google and to the opportunities that this presents for our customers.